If you have ever visited Crete and tasted a glass of local wine, then you know how good the wines are. And naturally this wine goes hand in hand with Greek cuisine where olive oil is in abundance.  The fertile soil and abundant sunshine of Crete has sustained the olives and grapes needed for both products for many centuries. However, traditional farmers on Crete experience more and more difficulty. They are often smallholders with low outputs and increasingly find it a challenge to access the market. As a result more and more farms are having to close their doors. TUI Care Foundation is stepping in to support these farmers in transitioning to a sustainable cultivation of grapes and olives and links them with the tourism industry. This transitional support extends to the olive oil mills as well as the local wineries. What kind of support do TUI Care Foundation offer? Firstly, we help identify sustainable local products, like varieties of grapes that are unique on Crete and have a long tradition. Then, we support with the promotion of these products to the local tourism industry to ensure that hotels use the local olive oil in their dishes, restaurants serve locally produced wine, shops sell these local products and that excursions do a good job of showcasing these offerings. In this way holidaymakers can keep enjoying all that Greek cuisine has to offer whilst at the same time being confident that the local economy of Crete is being supported. Futouris is committed to the preservation of holiday destinations and the sustainable development of the tourism industry.